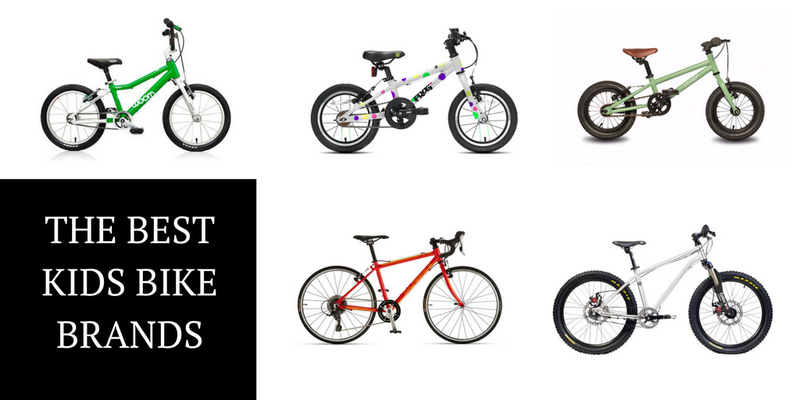 We spend a lot of time reviewing specific bikes, or talking about the best bikes for a certain age range, but perhaps it is actually easier to help people get familiar with the best BRANDS for kids bikes. Many of these brands offer great options across the board, from balance bikes to first pedal bikes to 24″ mountain bikes. In general, we prefer brands that make kids bikes exclusively. Of course you can buy a nice kids bike from Trek or Cannondale, especially in larger sizes, but they are often an afterthought to their more lucrative adult bikes. Over the last few years, more and more companies have been entering the market making bikes specifically designed and built for the youngest riders. The brands on this list make lightweight, quality bikes that are safe, enjoyable, and will get your kids stoked on biking. For each brand, we’ve listed their lineup of junior bikes. You’ll note that kids bikes are measured by wheel size, not frame size like an adult bike. If you’re not sure what size bike your child needs, or how to pick the best bike for your unique child, check out our post on how to choose the best bike for your kid. 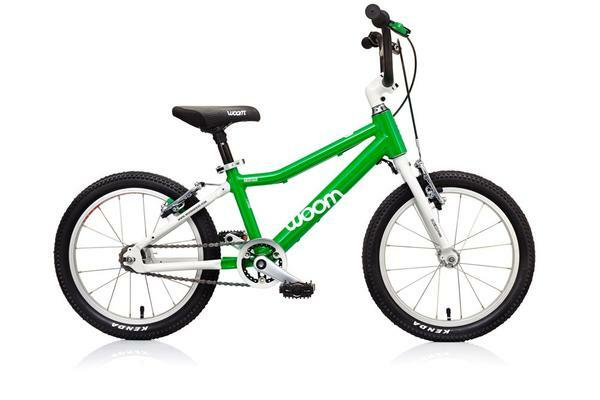 With no further adieu, the best kids bike brands…..
Woom is our favorite kids bike brand. They make fantastic bikes for young kids–lightweight builds, child-specific geometry, and excellent quality. From their balance bike, the Woom 1, to their 24″ Woom 5, they don’t have a bike that we don’t like. They also offer an Upcycle Program so you can trade-up as your child grows. Woom 1 Plus – 14″ balance bikes, $269 (Read our Woom 1 Plus review). Woom 2 – 14″ first pedal bike, $339 (Read our Woom 2 review). Woom 3 – 16″ pedal bike, $369 (Read our Woom 3 review). Woom 4 – 20″ pedal bike, $449 (Read our Woom 4 review). 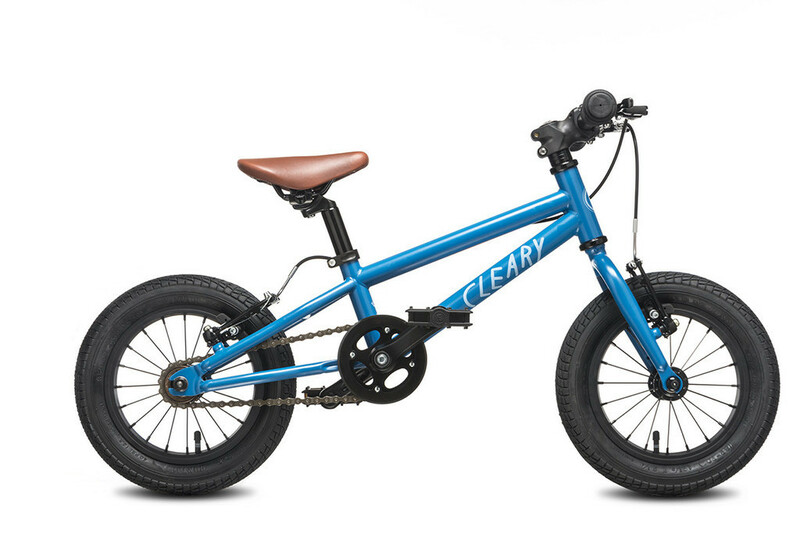 We like Cleary Bikes because they aren’t just more cookie-cutter kids bikes. The unique and beautiful steel frames, top-shelf components, and affordable price tags, set these bikes apart. They also serve both sides of the spectrum well, offering one of the tiniest first pedal bikes out there as well as really nice 24″ and 26″ mountain bikes. Cleary Gecko – 12″ pedal bike, $310 (Read our Gecko review). Cleary Hedgehog – 16″ pedal bike, $375 (Read our Hedgehog review). You may not have heard of Prevelo yet. This new kid on the block deserves attention, however. My son has grown through many of these bikes, and they remain some of our favorites. Recently, Prevelo launches a revamped Zulu line, offering some of the best-quality tiny mountain bikes on the market. Not a mountain biking family? No worries. 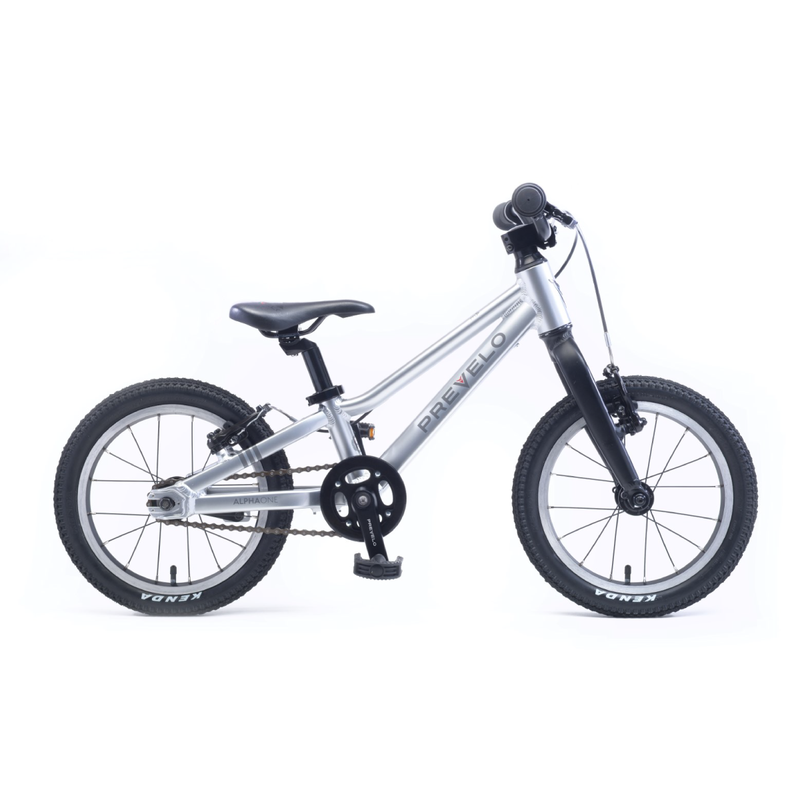 The Alpha balance and pedal bikes are perfect for any type of riding. Prevelo Alpha Two – 16″ pedal bike, $369 (Read our Alpha Two review). Prevelo Alpha Three – 20″ pedal bike, $499 (Read our Alpha Three review). Prevelo Zulu Three – 20″ mountain bike with front suspension fork, from $899. (Read our Prevelo Zulu Three review). 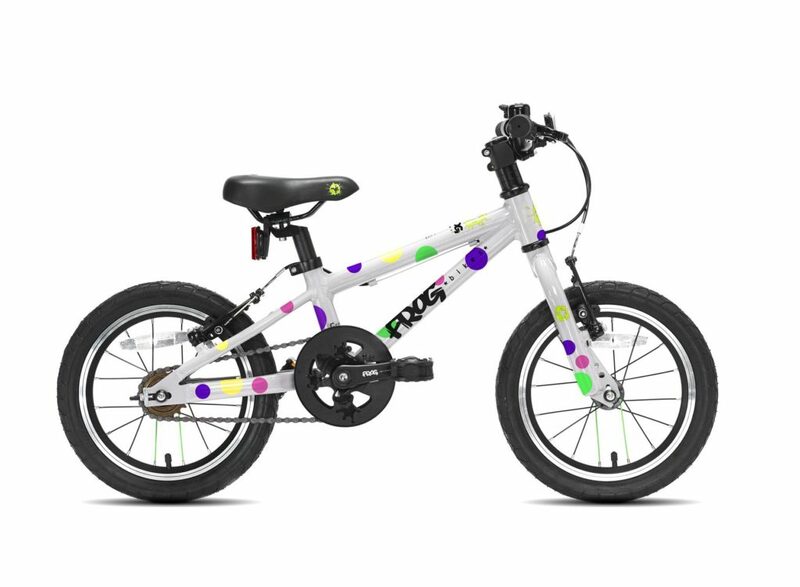 Frog is a U.K. kids bike company that has just recently migrated to the United States and Canada. They offer bikes all across the spectrum, including a hard-to-find 20″ road bike as well as some of our favorite first pedal bikes. They come in a variety of pretty colors which is always a selling point as well. Frog MTB 62 – 24″ mountain bike (Learn more about the MTB 62). Frog MTB 69 – 26″ mountain bike (Learn more about the MTB 69). Frog MTB 72 – 26″ mountain bike (Learn more about the MTB 72). 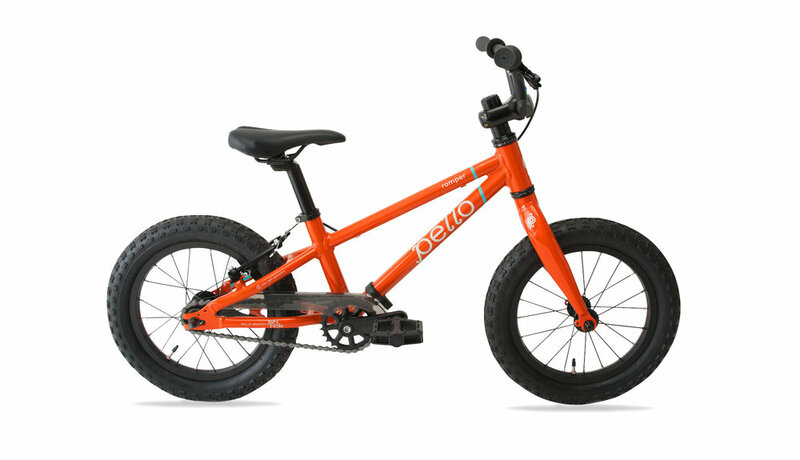 Pello has a simple formula for their kids bikes–orange (or pink) frame, beefy tires–and it works. These bikes perform particularly well on dirt–whether that is singletrack or the bike skills park. Compared to other bikes of similar quality, they also happen to be relatively affordable making Pello bikes one of our top recommendations. The Early Rider bikes are grown-up bikes sized down for kids. Their brushed aluminum frames and faux leather saddles look just like something you would buy for yourself. Fortunately, they ride as well as they look. If you want a top of the line bike, consider Early Rider. You only problem might be finding one as they seem to have spotty distribution in the U.S. Most mountain bike parents have heard of Spawn bikes. For little rippers between 3 and 10, Spawn is one of the best companies out there. They offer mountain bikes that are oriented to both cross-country and downhill riding. If you head to Whistler bike park, you are likely to see lots of Spawns on the trails. 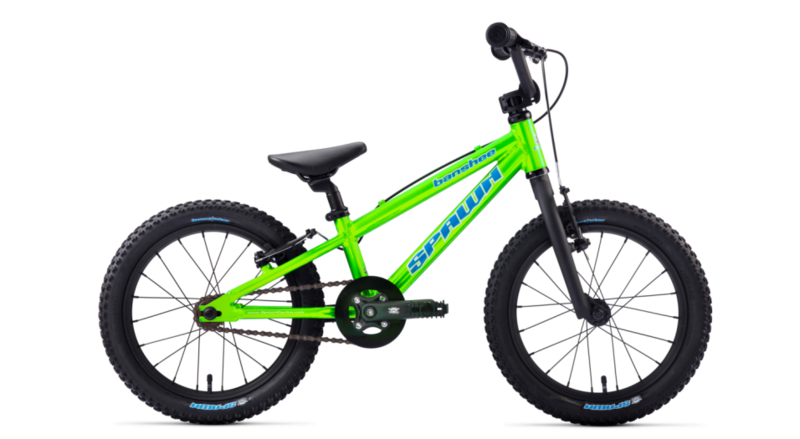 Spawn Yama Jama – 24″ mountain bike with front suspension, $1,150 (Read our Spawn Yama Jama review). 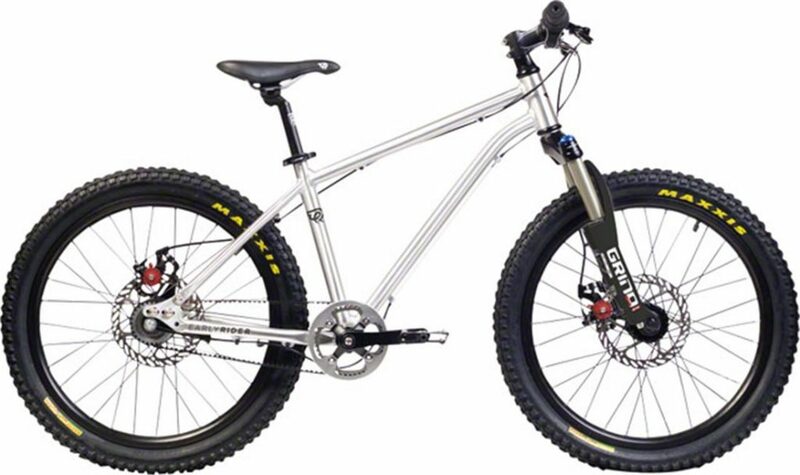 Spawn Rokkusuta – 20″ mountain bike with full suspension, $1,950 (Read our Spawn Rokkusuta review). In 2018, we lost two awesome kids bike brands. 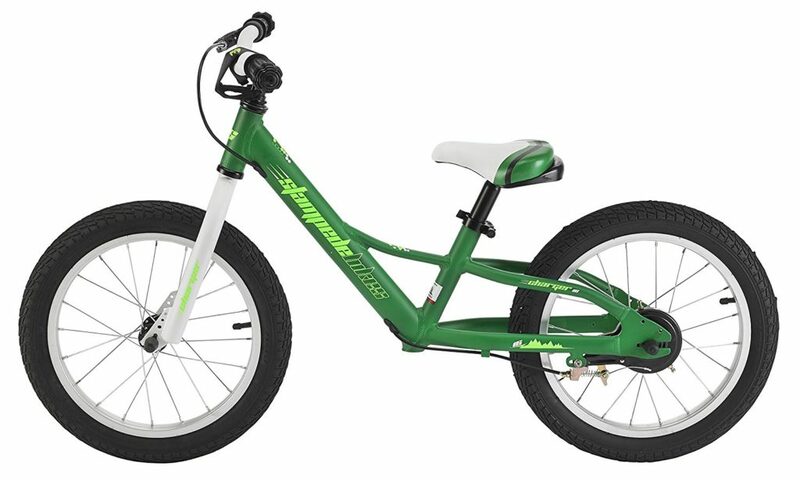 Stampede discontinued production altogether, and Islabikes quit distributing bikes in the U.S. market. I’ve left info on these brands below in case you are fortunate to find one used or happen to be in the European market. Note: As of Fall 2018, Islabikes is no longer distributing their bikes in the U.S. We’re leaving this brand on here though because it’s still possible to find one used, or to import one from Europe. 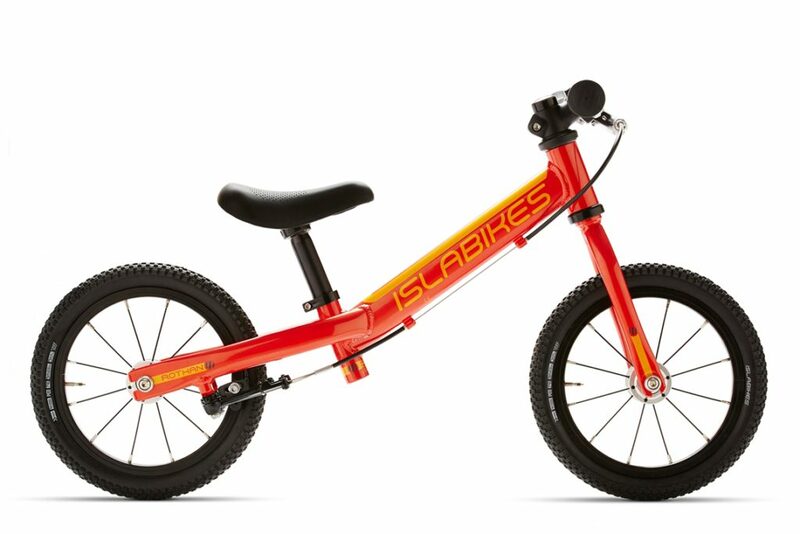 Islabikes is the original kids bike company. They revolutionized what is considered a good kids bike–lightweight, sized correctly for small bodies, dual handbrakes and no coaster. They are pricey, but live up to the high pricetag. NOTE: As of summer 2018, Stampede has ceased production. We hope they’ll return, but in the meantime, this is no longer an option (unless you can find one used). Stampede is our go-to recommendation for cost-conscious parents. They have managed to make quality bikes for a fraction of the cost of a lot of the other bikes on this list. Their bikes don’t have brand name components, but they do hold up well and ride nicely. Their balance bike was my sons favorite as a toddler. If you prefer to shop by size rather than by brand, check out the following articles. We’ve picked out our favorite bicycles in each size and age range. Hey, Check out SPOKES Bike Lounge’s Family Bike Collective. It is the only bike shop in the world with Woom Bikes, Cleary Bikes, Islabikes, Frog Bikes all comparatively in the same shop. They have a membership program were you can Upcycle to the next size bike of any of the brands. If you want a used bike it is $75 to Up-cycle and if you prefer new bikes you get 50% trade in on the current bike credit toward your next bike. Whats cool is you can trade between brands and get a full-service contract and 15-20% off labor for your other family purchases. The Family Bike collective is looking for other community bike shops dedicated to lightweight size appropriate bikes for kids. They also do demos where they teach kids to ride on all the bikes each month. WOW! $300-$1000 for a bike “won’t break the bank”…. rich people is crazy! Nope, I rather go “big box” for a $40 bike. If it breaks, I still can buy 3 more bikes without “breaking the bank”. I remember when my I started playing soccer at 5yrs old, Dad bought me plastic football boots because they were cheap, as I would outgrow them quickly. They were so uncomfortable and they gave me blisters. I have never forgotten this simple act. I’m a single mom and by no way – rich people – like John Prez stated. But buying a bike designed specifically for kids made the difference in my son being able to bike with me. I originally purchased a $40 box store bike and in our first outing my son pedaled two streets and walked two streets-then we came home because it was a horrid experience. After checking it out, he was trying to pedal a bike that was the same weight he was. I researched and found Isla Bikes and bought our first Beinn. He hopped on and rode 4 miles his first outing, with only water breaks. That made the difference in us actually being able to cycle together. After two Beinn bikes we were ready to purchase the 3rd when they closed US distribution. I am heartbroken. We will purchase a Woom next month, and I am confident that investment will be as successful an experience as our Isla bikes. So if biking as a family is important to you, invest in a bike made specifically for kids. The investment in a bike designed specifically for a child is well worth it! I’m a single mom and in no way-rich people-like John Prez states. But I bought a $40 box store bike for my son and on our first outing he pedaled two streets and walked two streets. We came home, it was a terrible experience and he felt so defeated. I checked and the bike weighed what he did making it impossible for him to pedal comfortably. After researching I found Isla Bikes and purchased our first Beinn. It made all the difference in our being able to cycle together. Our first outing he hopped on and off we went for a 4 mile ride, only stopping for water breaks. After two sizes of Beinns I was ready to purchase another size for him and found out they stopped US distribution and I’d missed the closing sale. I was heartbroken! So researched again and we’ll purchase a Woom next month. Bikes designed specifically for children with lightweight components are an investment. But it is an excellent investment and makes all the difference in kids being able to truly cycle. So if you are looking to cycle with your kid(s) – invest. It is worth it. Interesting to see dedicated kids bike manufacturers don’t build 18″ bikes. Guess 5-6 yr olds don’t ride, or ride bikes too small/big for them. I totally agree that getting a good quality bike is a great investment. Kids loves bikes, but they love them more if the bikes loves them back. I bought a Woom 4 for my 5 year old (he was tall) and after the initial apprehension coming from the strider, he just loved it. In our third outing we went to the bike path, and he did 16 miles! I had to get serious to turn back. In a month he was using the gears, and now he is able to go steep uphills without dismounting. And he flies around other kids with regular bikes that are double the weight. Also, in a good bike components are reliable and easy to adjust and fix, another advantage for the parents. Thanks for sharing your experience Jon. Great to hear other families having the same experience with Woom that we have. All my kids started on Strider, then rode Cleary and Frog. We just got Frog43 for my 3y.o. and it has been used daily. For 20″ and 24″ it is ok to go to adult bike manufactures. $40 bike won’t brake, as kid won’t want to ride it, and it just going to clutter your garage.